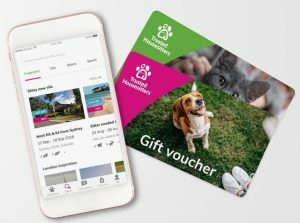 As you compile your Christmas gift guides, we wanted to update you on the ultimate Christmas gift for the pet loving traveller – a year’s membership to TrustedHousesitters.com. TrustedHousesitters is the world’s largest house and pet sitting platform and connects animal loving travellers with pet owners who offer their home in return for someone taking care of their pet. For just $129, you can gift the pet-lover in your life with 12 months’ worth of access to beautiful house sits all over the world, and if they’re a pet owner then they can enjoy a stress-free holiday knowing their pet is cared for in their own home. So if you know a traveller who loves animals or a pet owner who doesn’t want to put their fur baby in a kennel or cattery, then a yearly membership from TrustedHousesitters is the “purrfect” Christmas gift for them.